Homeward bound of Marin is committed to providing residents with more than a meal and a bed for a night, but with the means to change their lives. Their Fresh Starts Catering business and line of products called Halo HomeMades and Halo Truffles provides culinary student the opportunity to make a fresh start in life. 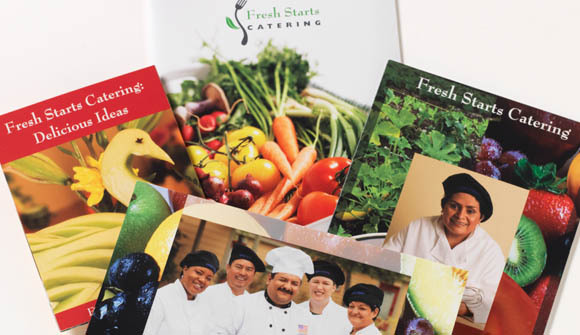 A campaign was created to share the growth of the students and the fresh foods the catering service provides. Exposed primarily through Homeward Bound newsletters, newspaper ads and mailings, as well as distribution to visitors touring Homeward Bound's facilities and weekly presentations, the campaign has already resulted in an established customer base for the business. These loyal customers also voluntarily distribute material to other members of the community on Homeward Bound’s behalf.